Introducing Maveryk, a free industrial serif from Font Forestry! Maveryk is chunky font that features some roughness and uneven edges for a hand drawn vibe. 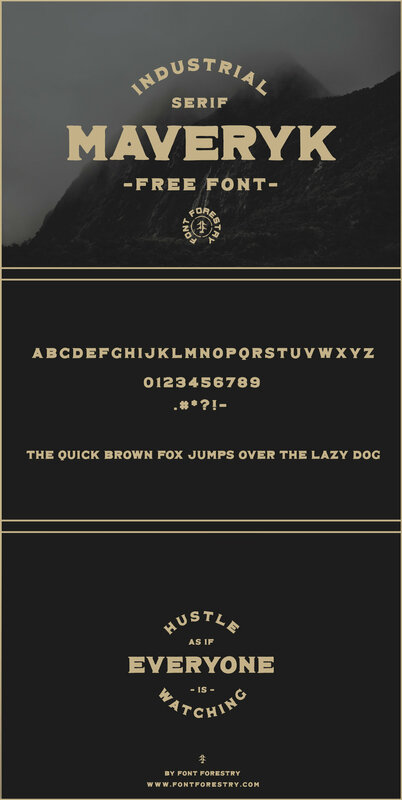 It's perfect for headlines, labels and branding that requires a strong vintage or industrial aesthetic.